This photograph was made on August 9 at Tuxies Cruise night. I was walking around with the Yashica Mat 124 and three rolls of Ilford Delta 100 film. 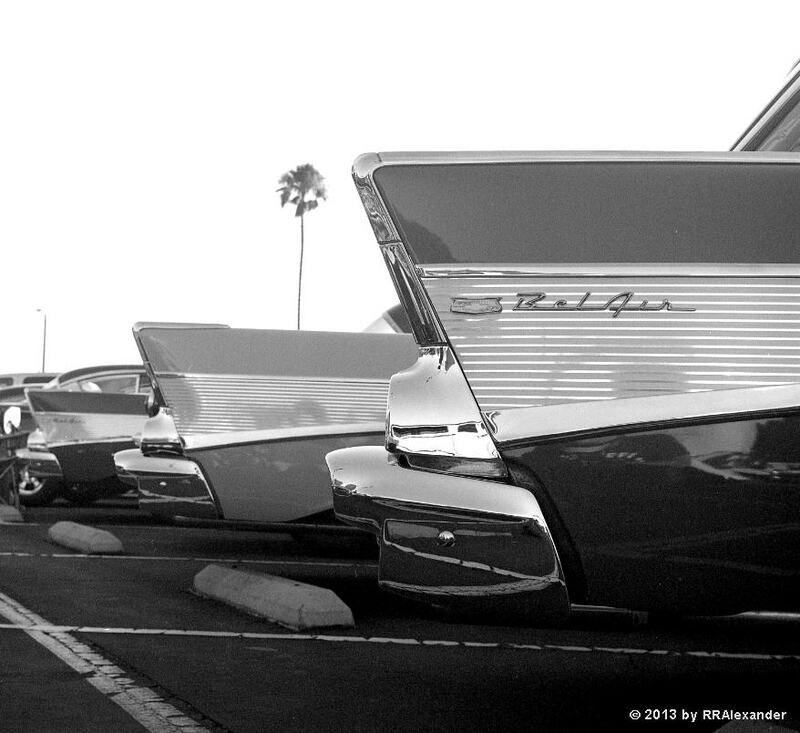 These car fins were lined up and begging to be photographed as I walked between the rows of classic cars toward Tuxies. I didn’t have the coldness of heart to disappoint them.